Looking for creative, imaginative and inspired play this summer with your little ones? 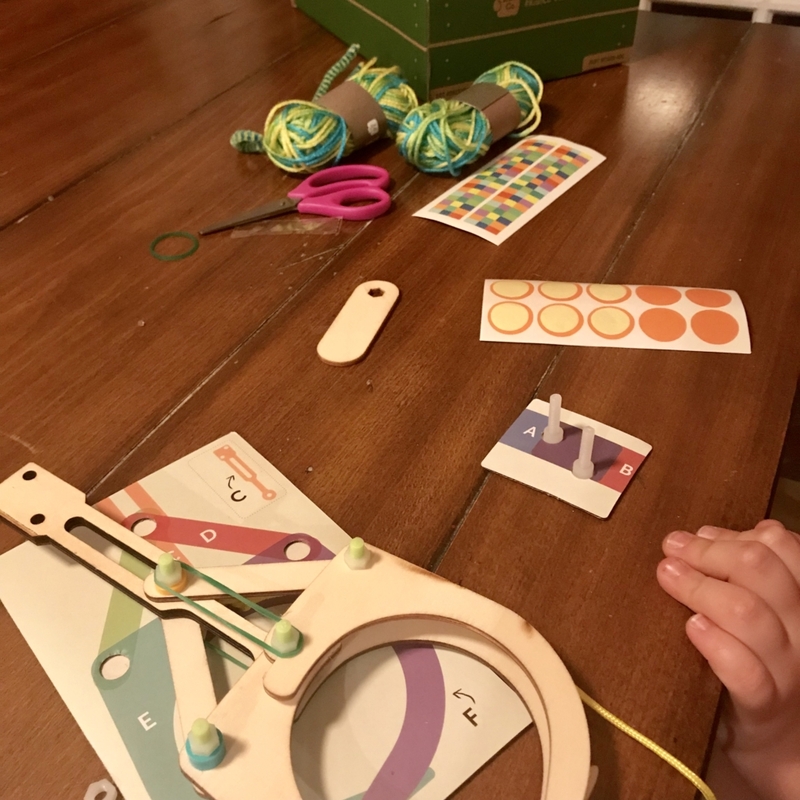 Look no further than Yellow Label Kids, a fantastic company offering fair-trade, earth-friendly and hand-crafted toys, puppets and animals that don’t need all the bells and whistles to engage little ones! It’s time to turn off the TV, iPads, iPods, computers, and more, and let your children perform an impromptu puppet show with these oh-so cute hand puppets! The finger puppets are lovingly stitched and have sparked the imaginations of “Mom’s” little ones countless times since they arrived to play. The tiny details of the finger puppets are absolutely darling, and what we love is how easy to they are to pack due to their size! The little puppets can be placed in a pocket, purse, diaper bag and more for fun on-the-go – perfect for a backseat comedy routine! 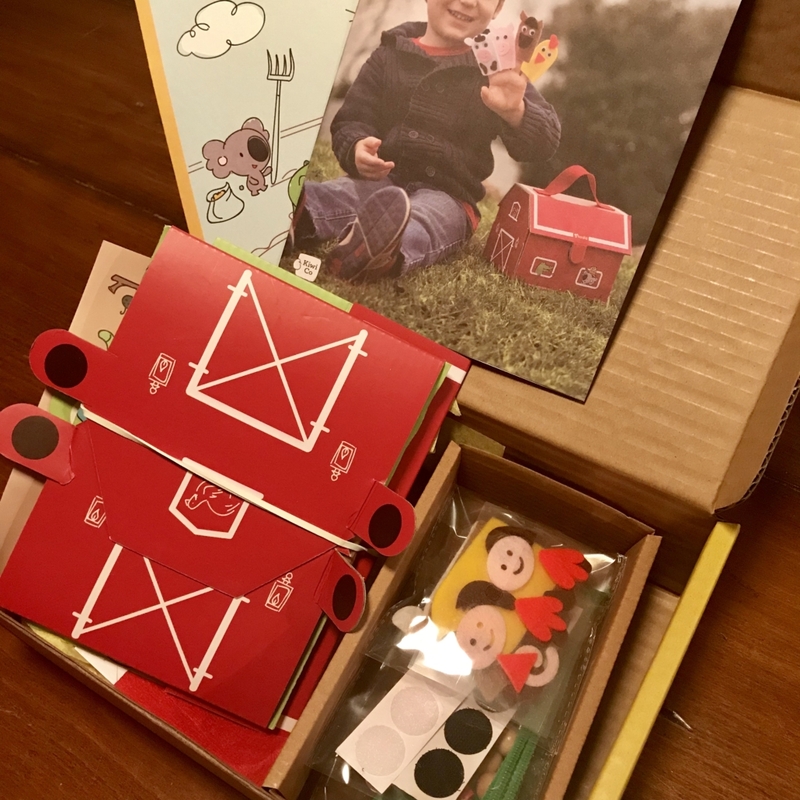 Founded by entrepreneur Hillary Sciarillo, Yellow Label Kids is fast becoming one of “Mom’s” favorite earth-friendly toy companies! 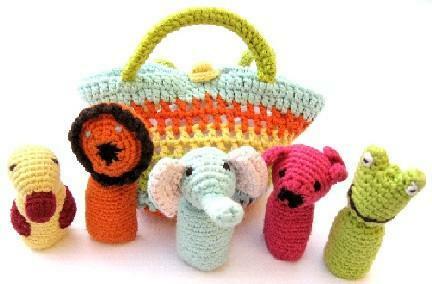 The knit toys are all made with bamboo yarn, and are extremely soft for little hands. 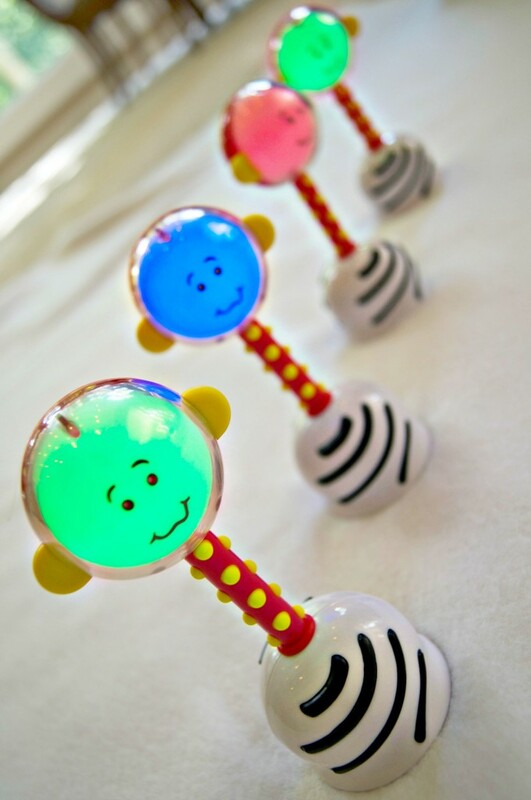 The rattles make an excellent baby shower gift for the eco-minded parent! 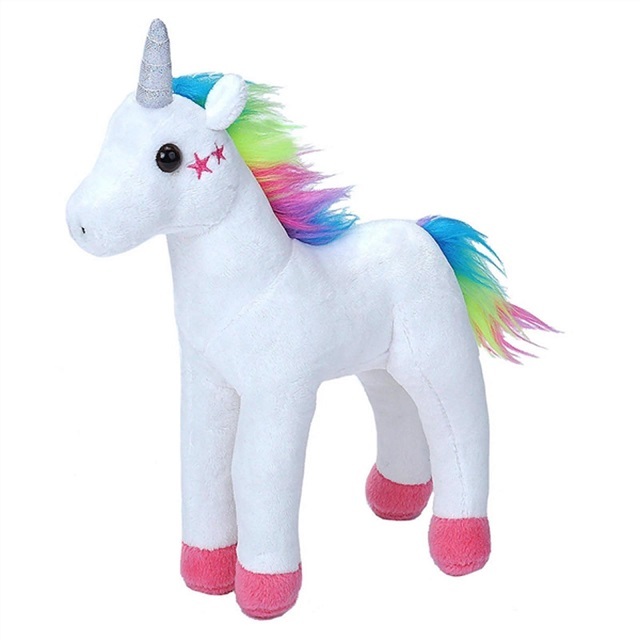 In addition to the finger puppets and rattles, beautiful handmade dolls, toys, hats, and more are available. 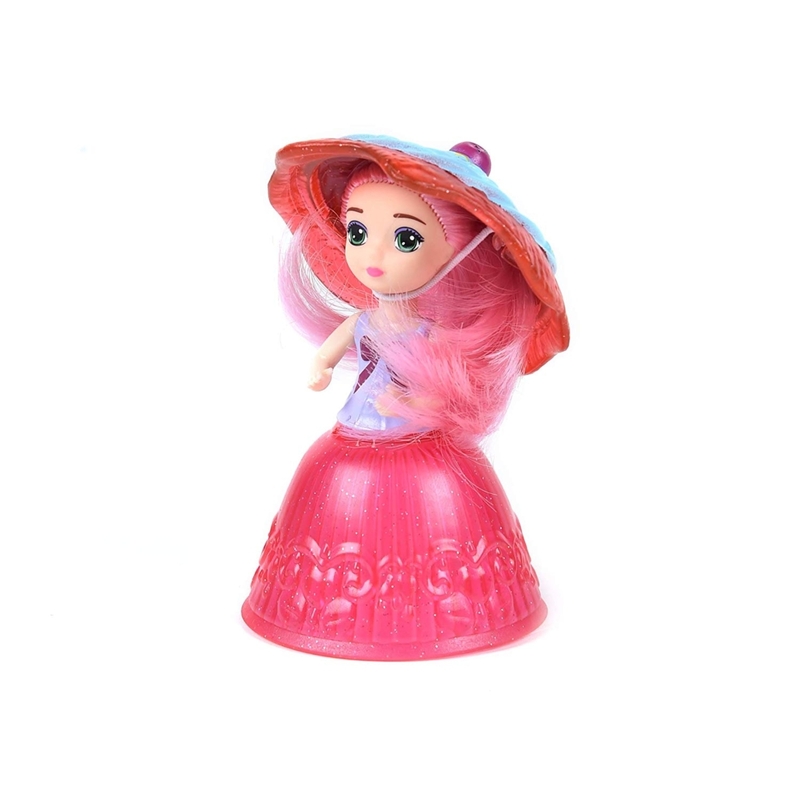 To see the entire collection of clothing and toys available at Yellow Label Kids, please visit YellowLabelKids.com. Earth Day may be over, but taking care of our planet is important the whole year through! 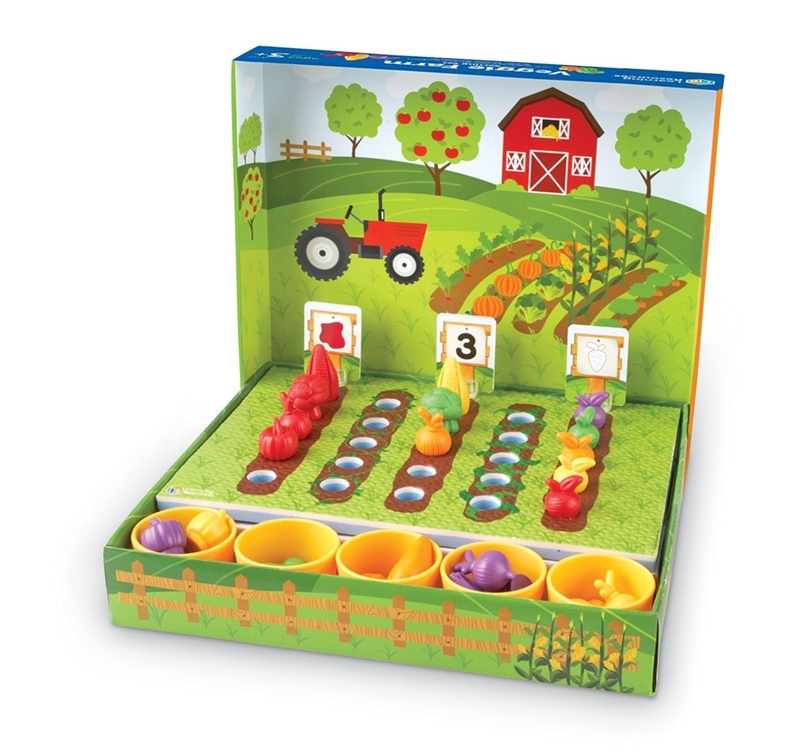 Peaceable Kingdom turns ordinary moments into teaching moments through cooperative play. Peaceable Kingdom’s cooperative games (many of which are 100% green) have players work together as a team against the game, not against each other. To “Mom,” this means more fun and less aquabbles! For little ones who are exceptionally strong-willed and like to win, this provides an opportunity to learn the value of teamwork. Players win as a team or they lose as a team: it’s that simple. As players work together, they help each other, and learn the valuable lesson of what can happen when everyone comes together to address a problem – all while having fun, of course! 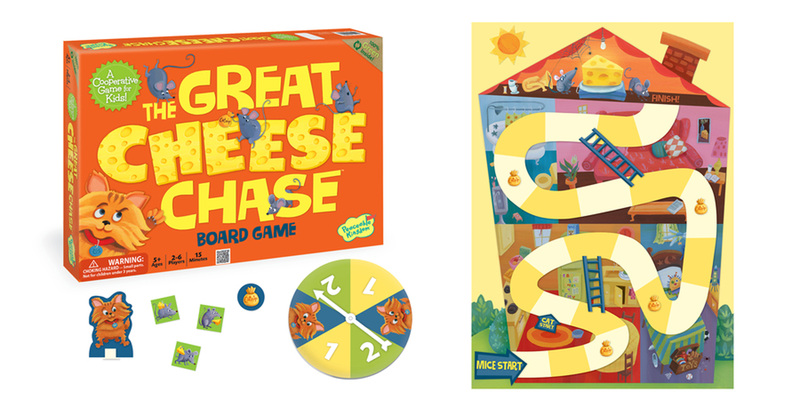 Green games, such as The Great Cheese Chase, can help open up a dialogue with your children about living a sustainable lifestyle. 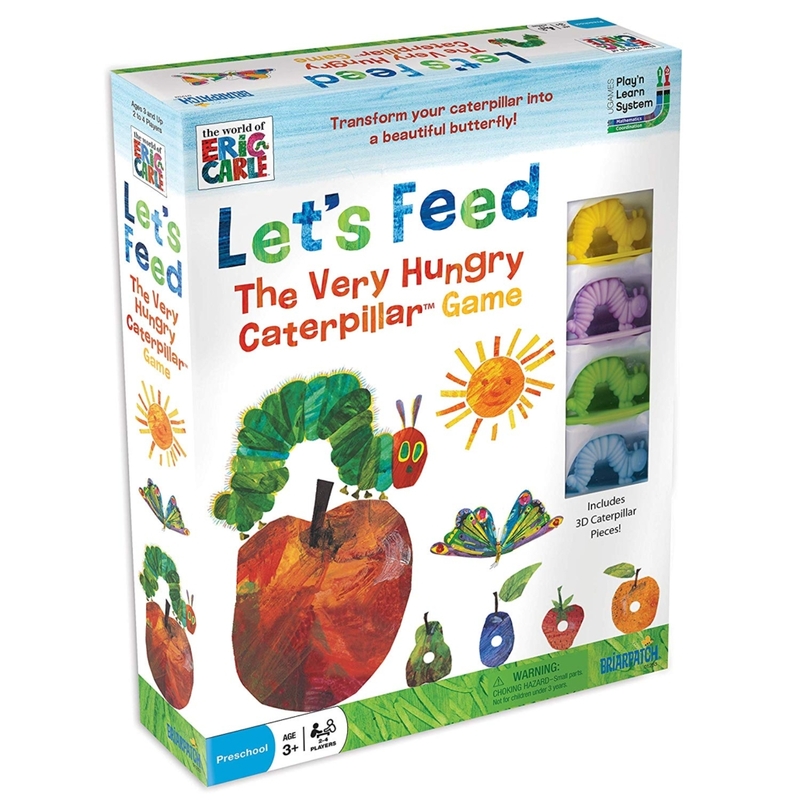 Peaceable Kingdom’s cooperative games are just the thing for starting this conversation! 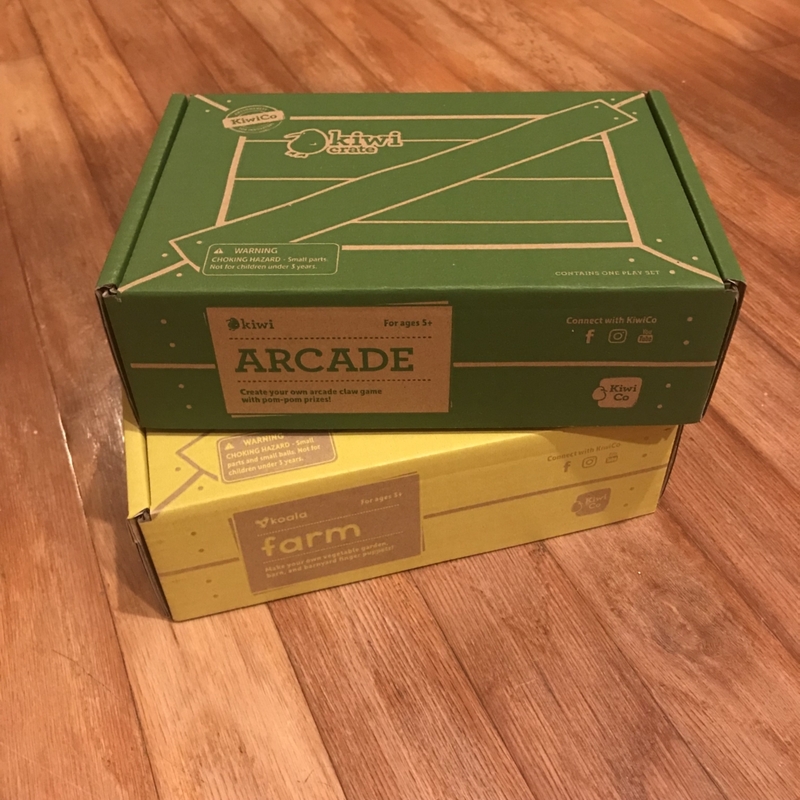 All of the games listed below are made with soy-based inks on FSC paper and include game parts made with corn-based plastic and FSC wood. 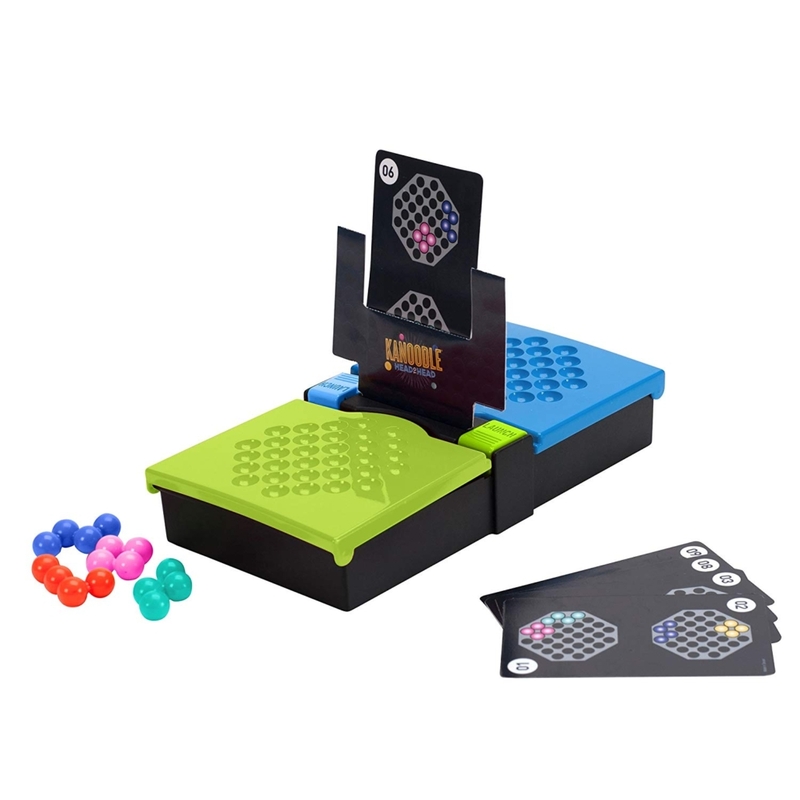 “Mom” absolutely loves the concept of a cooperative game where children learn to work together to solve a problem – all under the guise of play. The Great Cheese Chase is entertaining, easy to learn, and fun for the entire family. “Mom’s” little one loves to play this game where all of the mice must get to the cheese in the attic before Tiger the Cat! 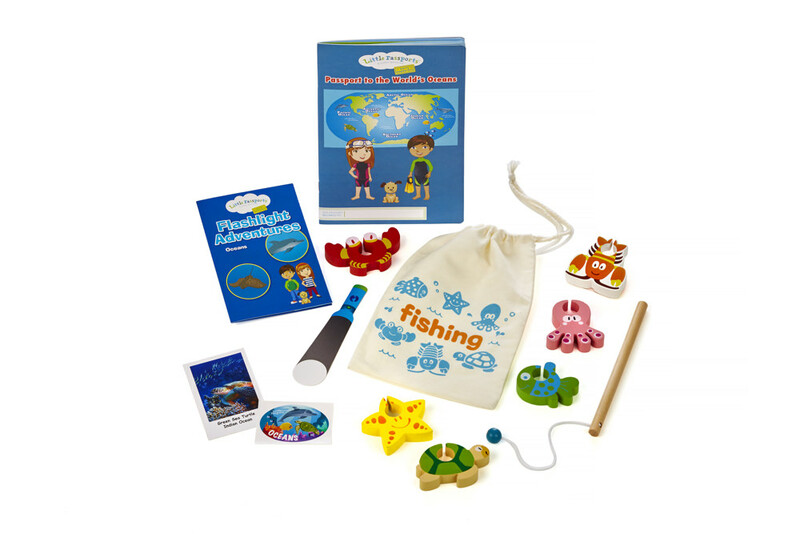 To learn more about Peaceable Kingdom, their many cooperative games, or to locate a retailer near you, please visit peaceablekingdom.com. 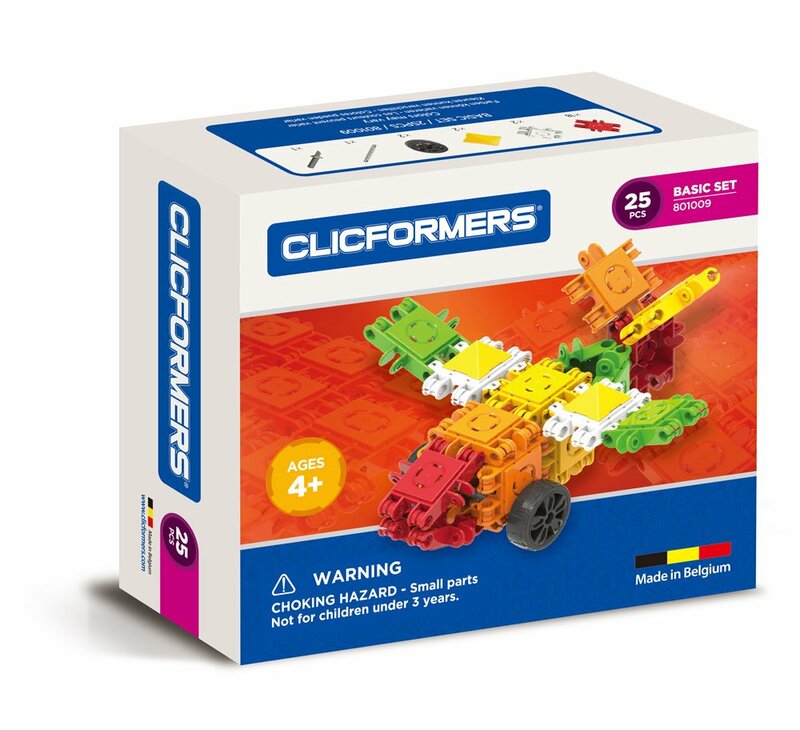 What’s the hottest new educational toy for the youngest learners? The NogginStik™! 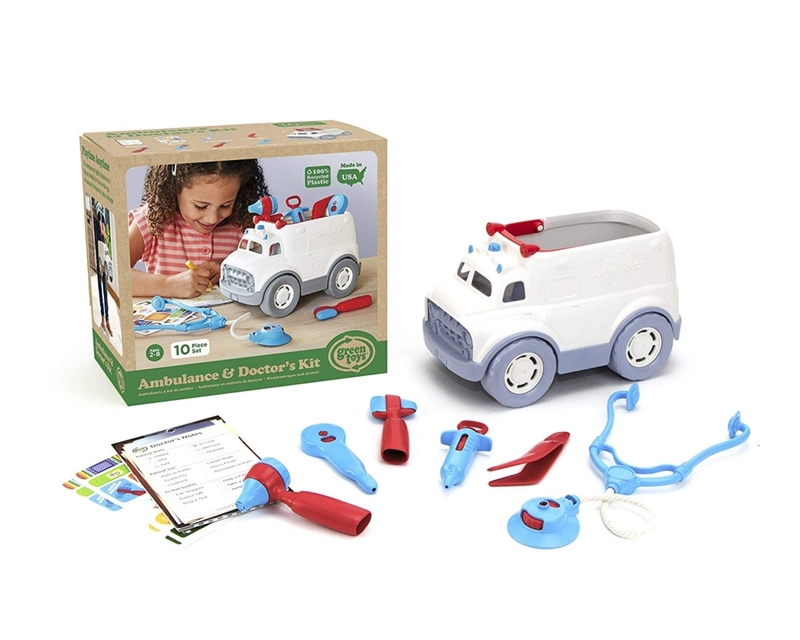 It has a quirky name but will help your little one master major developmental milestones in an engaging and interactive way! “Mom’s” little one has been playing with the NogginStik™ for 2 months now, and it still entertains, amuses and teaches her new skills! The NogginStik™ promotes healthy brain development and bonding with your child. With interesting textures to delight the sense of touch, the NogginStik™’s handle is easy to grip for tiny fingers, and helps your child master grasping. The head lights up in three different colors – red, blue and green – to help stimulate your baby’s eyes and encourage visual tracking. 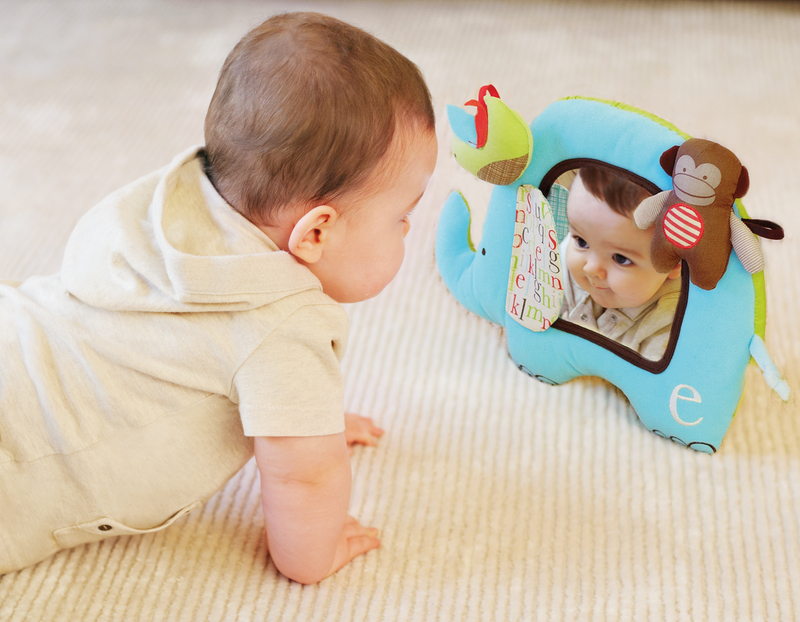 In addition, the base of the NogginStik™ makes a soft rattle sound to help develop listening skills, and features a mirror on the underside, as well. 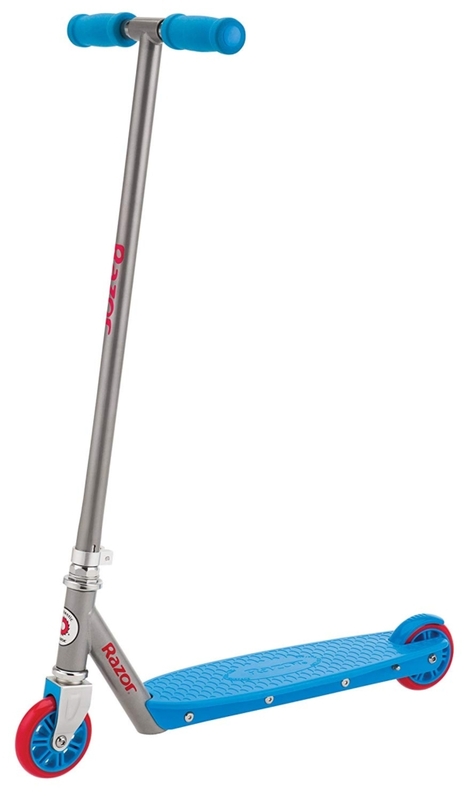 Our littlest green member of the family just giggled and giggled the first time the NogginStik™ was introduced! Now, she can grasp it with ease and loves to shake it like a maraca to music! 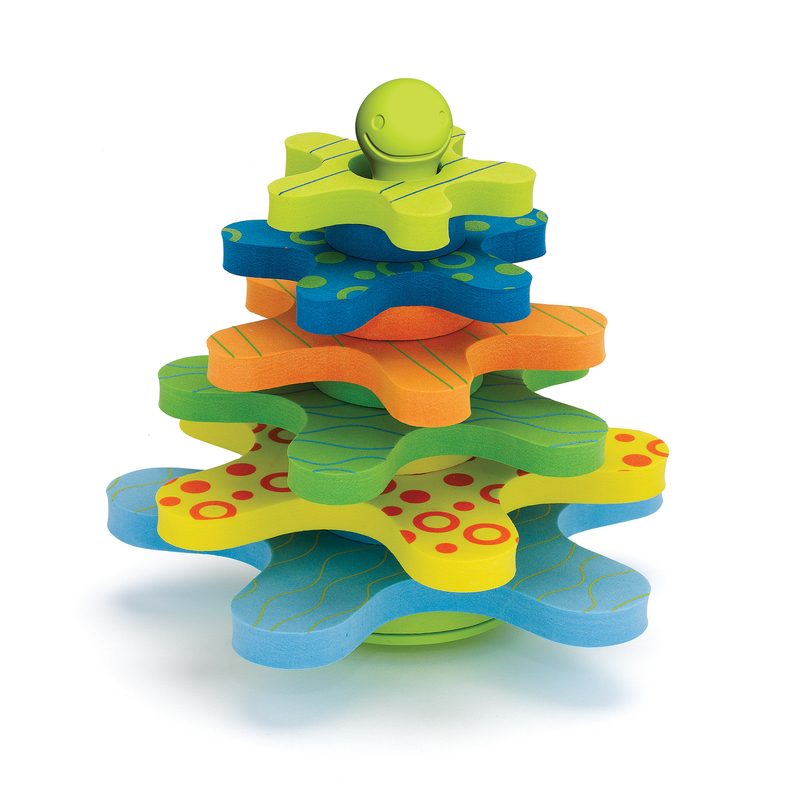 Created by an early intervention therapist, the NogginStik™ is the recipient of the 2012 Top Toy Award by Creative Child Magazine. 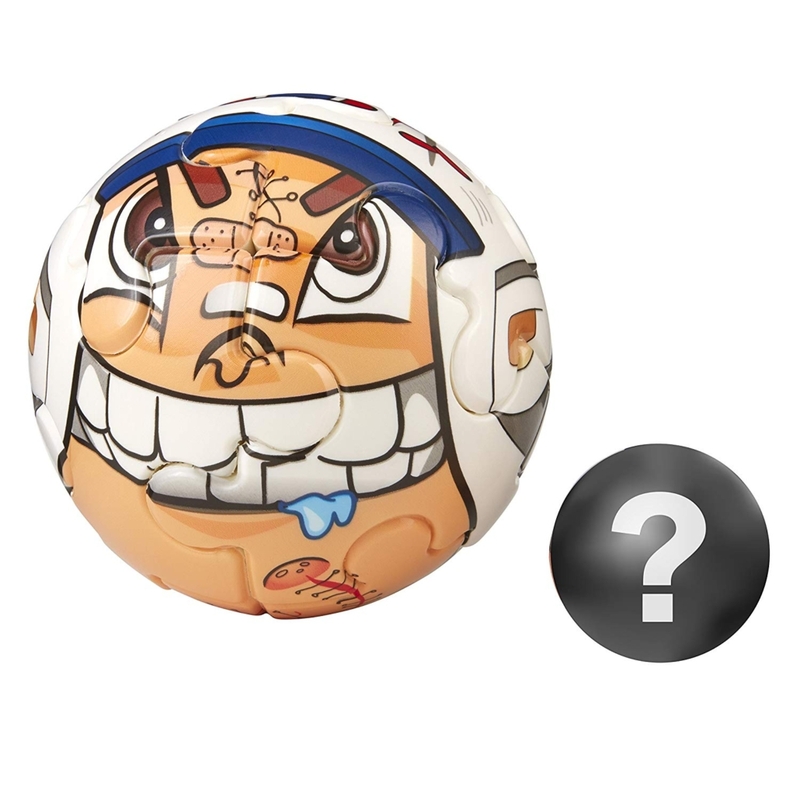 To learn more about the developmental benefits of the NogginStik™, please visit smartnoggintoys.com. http://tinygreenmom.com/wp-content/uploads/2018/07/logo-sm.png 0 0 Tiny Green Mom http://tinygreenmom.com/wp-content/uploads/2018/07/logo-sm.png Tiny Green Mom2013-03-01 14:29:552013-03-01 14:29:55 Introducing the NogginStik™! 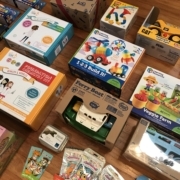 With the input of experts at Healthy Stuff and a brain trust of mom bloggers who share their knowledge with Healthy Child Healthy World, here are the top 7 tips from Margie Kelly of Natural Child World for buying non-toxic toys to consider before you head out to a store this season! 1. Buy less. Do you really need to buy a new toy? Depending on the age of the child, she may prefer a book you promise to read out loud to her. Another special kind of gift is an experience; a trip to the zoo or amusement park or a tour of the local fire station. Sometimes getting “stuff” is less interesting than other options only you can create. 2. Buy used. 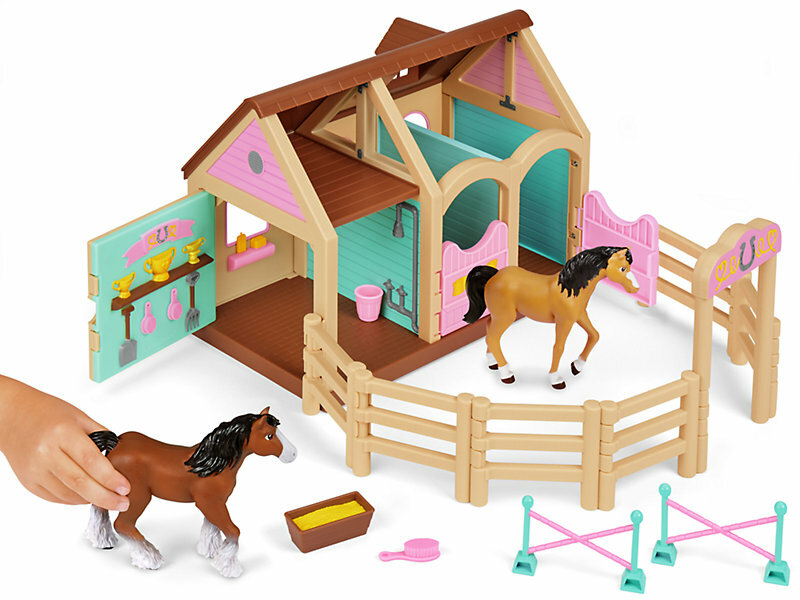 Before heading out to a toy store, check your neighborhood for a swap or store that sells second hand items. Often you can find toys that have been hardly touched for a fraction of what they would cost new. Be sure to check for recalls, however. 3. Avoid plastics. Vinyl plastic is the worst plastic for the environment and your child’s health. Vinyl itself is toxic and it’s loaded with chemicals like lead and phthalates that cause real damage to human health. Vinyl is junk that is toxic throughout its lifecycle: production, use and disposal. If you can’t bring yourself to abandon plastics entirely, choose safer plastics labeled 1,2,4 or 5 in the symbol usually found at the bottom of the product. 4. Choose natural materials. 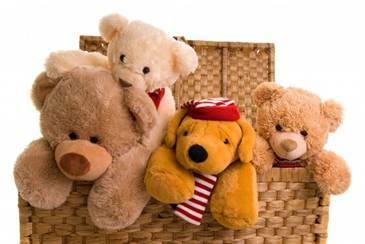 Choose unpainted wood toys or cloth or plush toys instead of plastic. 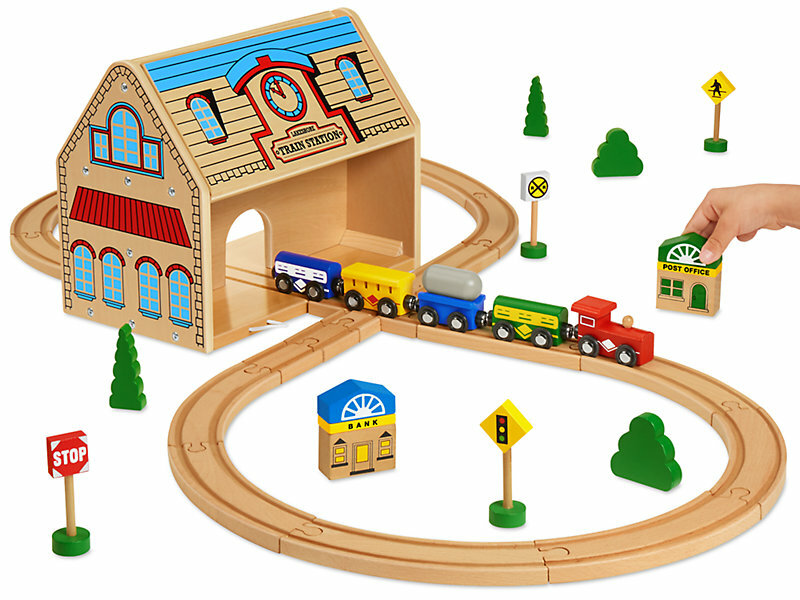 Watch out for painted wood toys unless it is certified that the paint is non-toxic and lead-free. 5. Just say no to metal jewelry. Lead is a big problem in jewelry. Tests by HealthyStuff.org found over half jewelry tested contained chemicals of concern, including cadmium, a known carcinogen, and lead. Bottom line: steer clear of cheap bling. 6. No batteries. Here’s a great rule of thumb. If batteries are required for a toy to operate, leave it on the shelf! Unless you’ve pre-cleared it, parents of young children will thank you for leaving at the toy store loud toys that whoop, talk, or blare sirens. 7. Choose high quality toys. Buy toys built to last. High quality toys can take a beating and still last long enough to be handed down to a younger sibling or friend or even sold to a second hand store once your child has outgrown it. Awesome new toy alert! If you have a child who is musically inclined or loves to sing and dance, the new Symphony in B from B. Toys will be their favorite before long. 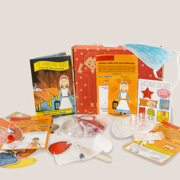 This new musical toy lets your child be the conductor while learning all about 13 different instruments as they orchestrate their own inspired musical combinations. To play, your child can choose up to 5 different instruments to place in the orchestra pit, which will be played together. 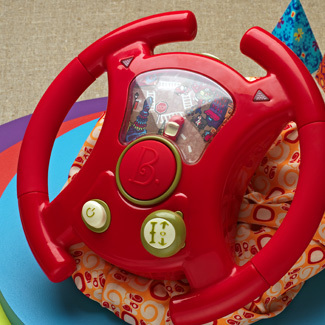 Your little one can choose from 15 songs and classical symphonies and even change the tempo as the instruments play. Instruments include the clarinet, flute, tuba, trumpet, xylophone, drums, cymbals, piano, accordion, koto, guitar, violin and sitar, and each instrument is labeled with its proper name. Plus, each instrument has a distinct shape on the bottom so your child can also reinforce their knowledge of shapes as they place each instrument back into place after playing. “Mom’s” toddler absolutely adores Symphony in B, and has already gone through one set of batteries as she composes symphony after symphony. The music is not cheesy or annoying, as some children’s toys can be, but beautiful and classic. We could listen to the various symphonies for hours, and even older children will enjoy it. (yes, parents too!) 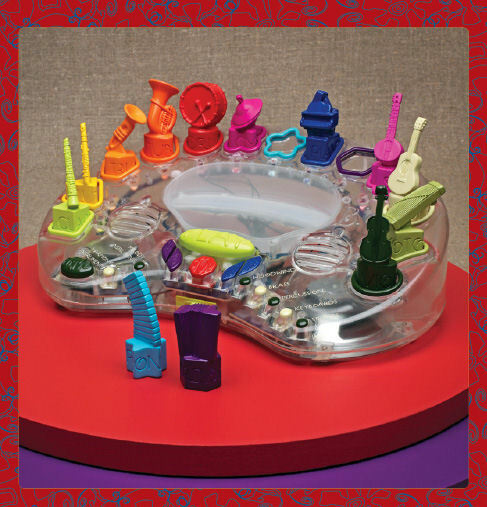 This is one fabulous musical learning toy! To learn more about Symphony in B, or to locate a Target retailer near you, please visit justb-byou.com. You will go wild for Skip Hop’s Alphabet Zoo line, the newest collection to be introduced from this innovative and modern company! This zoo-rific collection includes four boldly-colored, whimsical pieces featuring modern graphics and beautiful colors. 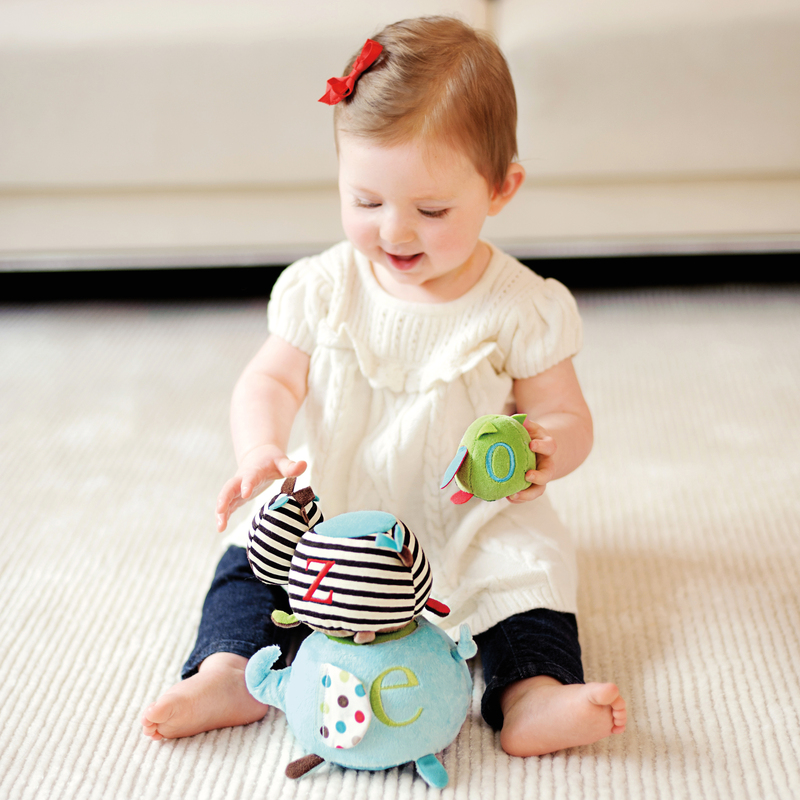 The soft baby toys are developmental with a designer twist and allow your little one to play and engage in a myriad of ways. “Mom” adores the super-soft Stack & Stick Animals, which has been safety-tested to meet or exceed ASTM, CPSIA, EN71 and applicable safety standards. 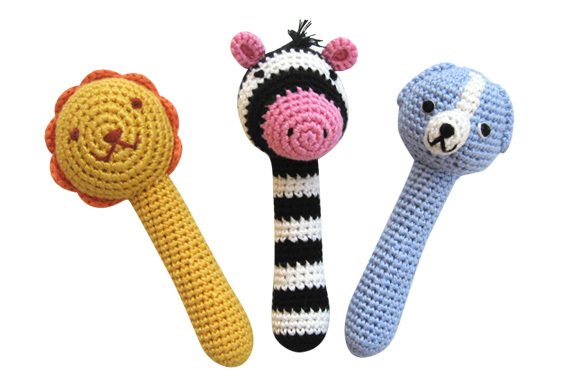 3 lively animals, including a zebra, owl and elephant, attach together with velcro or can be pulled apart for sensory fun! The elephant’s ears crinkle and features a chime inside his plush body, the zebra rattles, and the owl has many different fabrics embroidered on his body for tactile exploration. 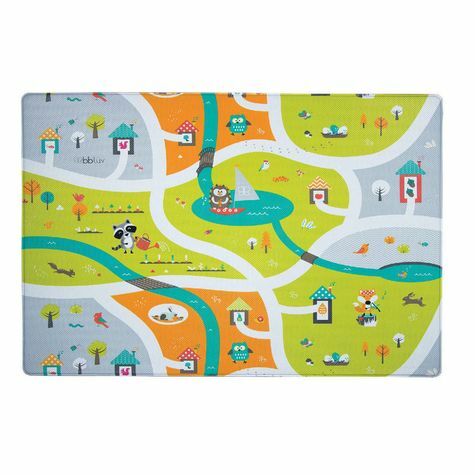 Alphabet Zoo Activity Gym – The graphic activity mat, which includes a Tummy Time pillow, offers irresistible multi-sensory play for baby at every stage of development and brings new life to ABCs. The Activity Gym features 17 developmental activities for ages 0+ months and up. Alphabet Zoo Activity Mirror – Baby will have tons of fun learning to recognize himself while playing with a monkey friend that sticks around the mirror. 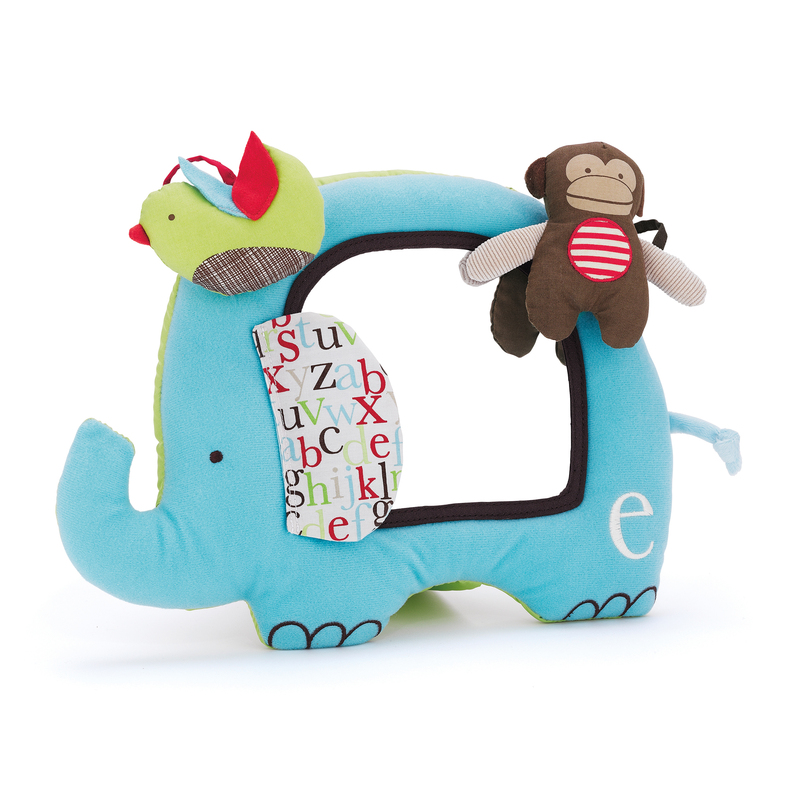 Large and baby-safe, the mirror is surrounded by a soft and friendly elephant. Alphabet Zoo Unfolding Activity Book – Filled with tactile activities, this book opens up to become a fun-filled play center with five friendly animals all in a row. 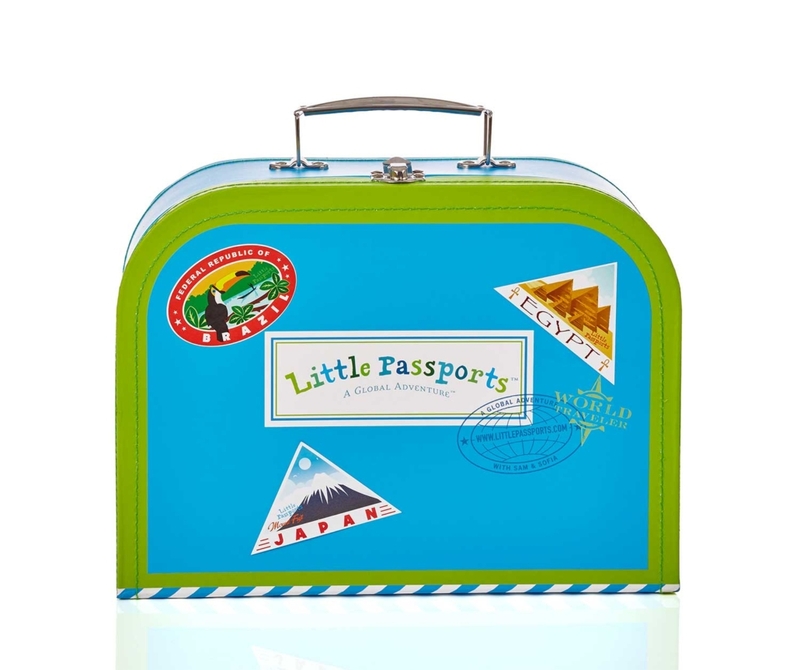 Packs neatly in a diaper bag, too! 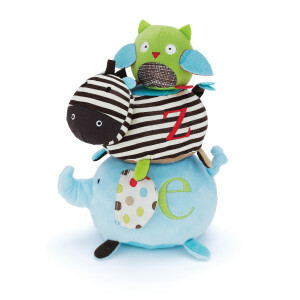 The Alphabet Zoo Toy Collection is available online and at select retailers nationwide. Learn more at SkipHop.com. 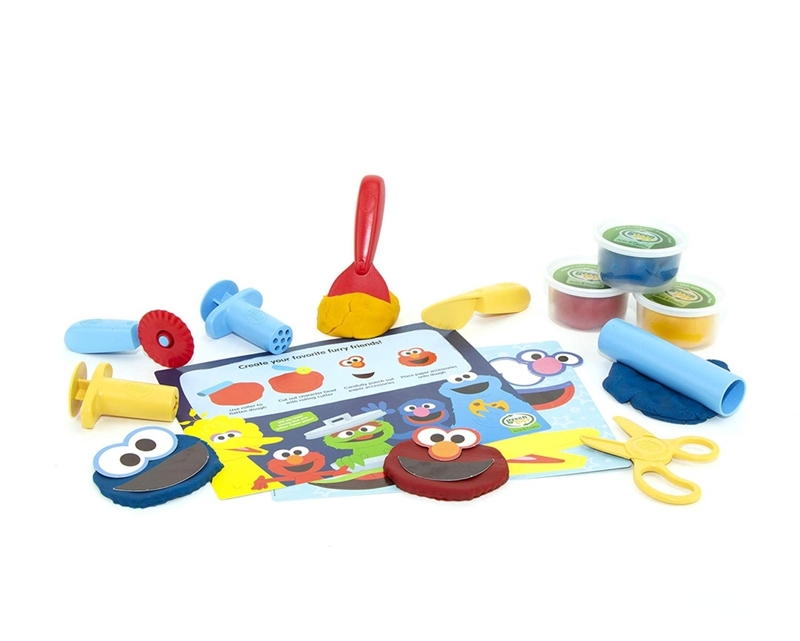 Bathtime struggles will cease when these educational and exciting bath toys are brought into play! 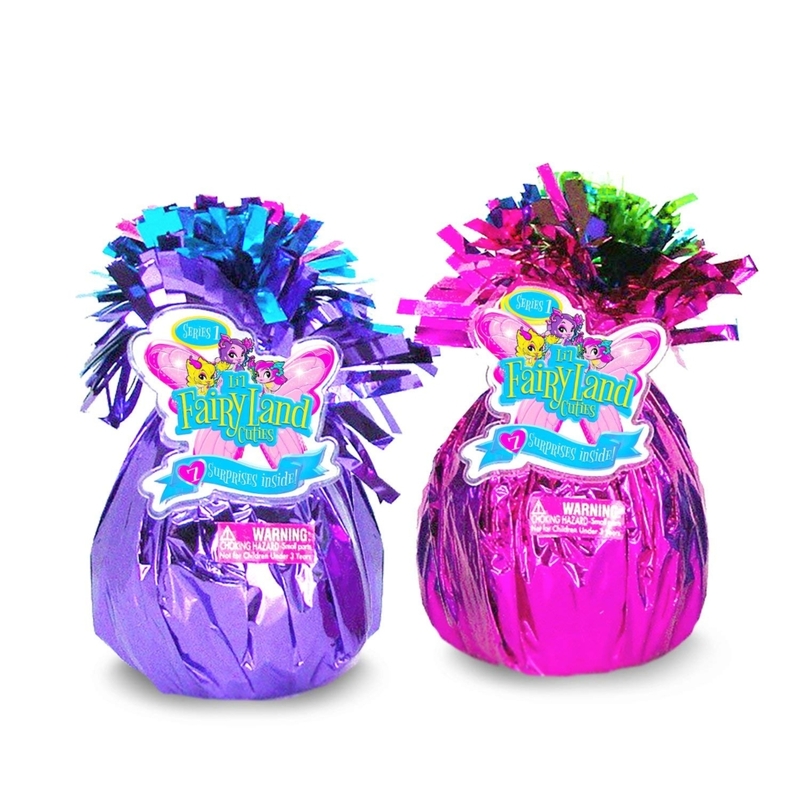 BPA-free and just plain FUN, little ones will once again love their bathtime routine! 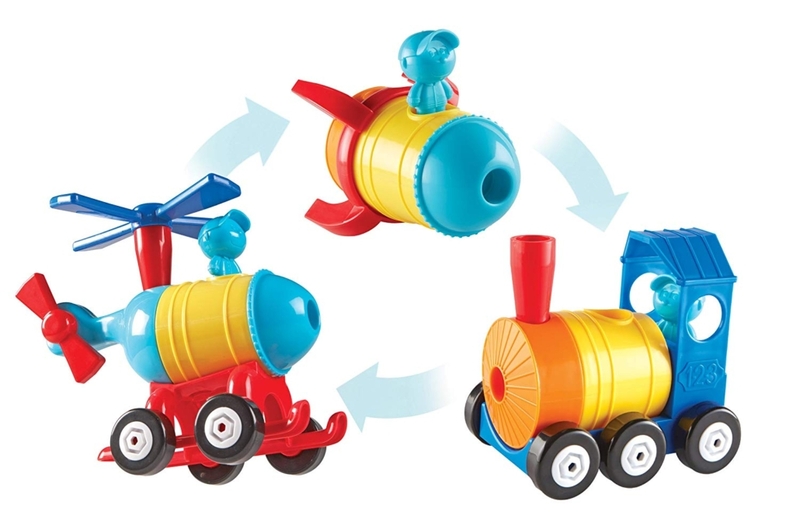 Engage your little one with this eye-catching Wonder Waterway from Munchkin! 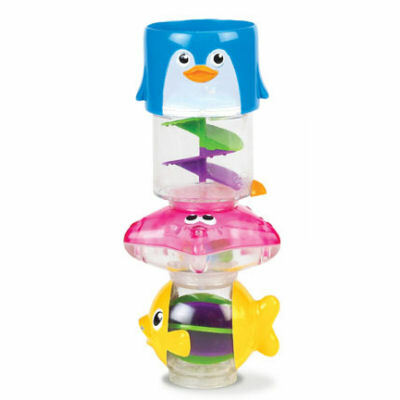 For ages 6 months and up, this adorable toy can be stacked to create a fun waterway, or taken apart to be played with individually in the water. This cute little find is a fabulous toy to help your baby build hand-eye coordination with ease! “Rubber ducky, you’re the one… you make bath-time so much fun!” Your child will be singing this tune while splashing and playing with this rubber duck which boasts a special “White Hot” disc at the bottom that tells you when the water is too hot to handle, and then lets you know when it’s just right to bathe your baby. 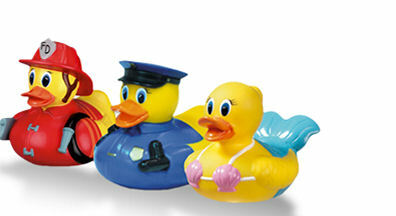 But your little one won’t know the difference – she will be having too much fun making up games with one of three ducks – a firefighter, police office or mermaid! What “Mom” loves is that the ducks are watertight, so no mildew will build up inside, which is often the case with water toys! It’s a water sprinkler and ring toss game in one! Your baby will love to watch as water poured into the octous’s head trickles down his arms, or play an exciting game of ring toss while in the tub! Easily mounted onto the wall, the Octopus Ring Toss by Skip Hop is made of soft, no-bump material. 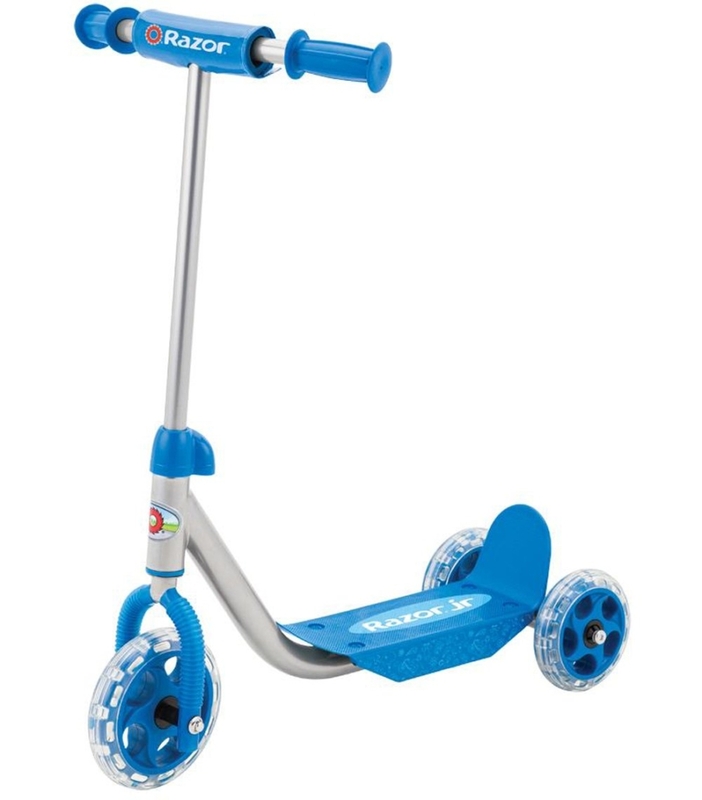 Every child loves this classic toy – which Skip Hop has brought to the bath for added enjoyment! Your little bathing beauty will love to stack and re-stack the rings as the Starfish Stacker stays firmly attached to the tub floor. For an added dexterity challenge as baby gets older, let the stacker float on top of the water while your child tries to stack the rings! Plus, kids will love discovering that the rings stick and cling to the tub wall when wet. 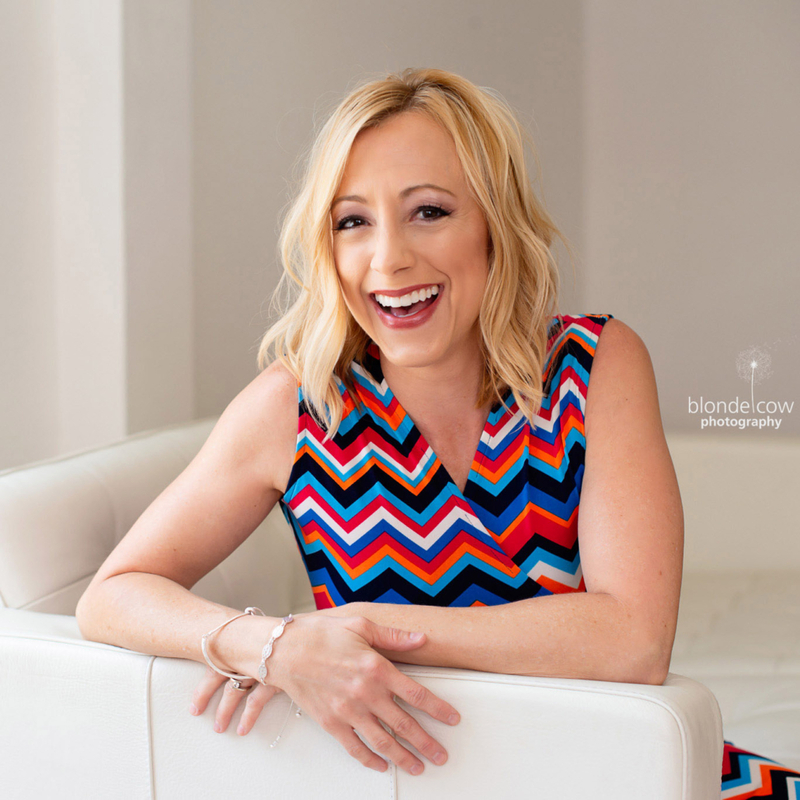 http://tinygreenmom.com/wp-content/uploads/2018/07/logo-sm.png 0 0 Tiny Green Mom http://tinygreenmom.com/wp-content/uploads/2018/07/logo-sm.png Tiny Green Mom2012-03-02 13:19:082012-03-02 13:19:08Make Bathtime Fun!